They changed up the selection screen... looks alright. REVIEW: The last time I checked, MANIAX is not a word... not a good start, guys. 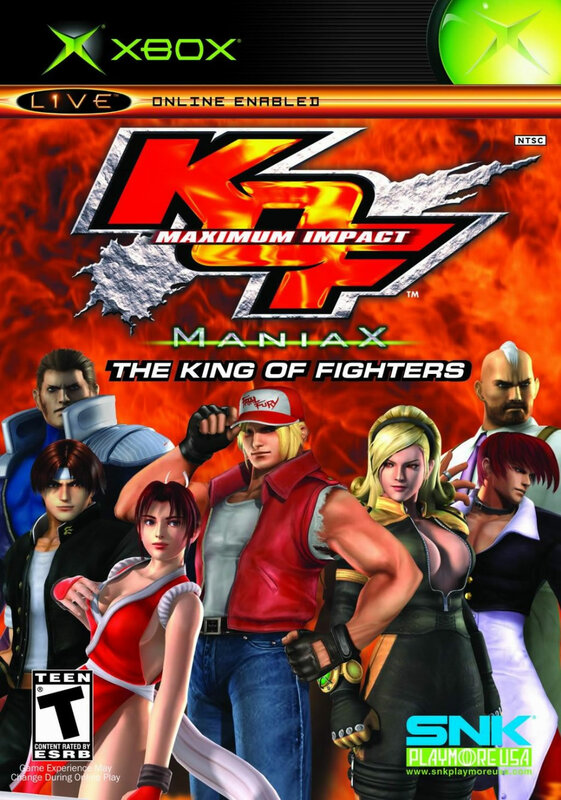 I'm guessing SNK was thinking something along the lines of "WE were MANIA(CS) for giving the characters in KOF: Maximum Impact English voices." 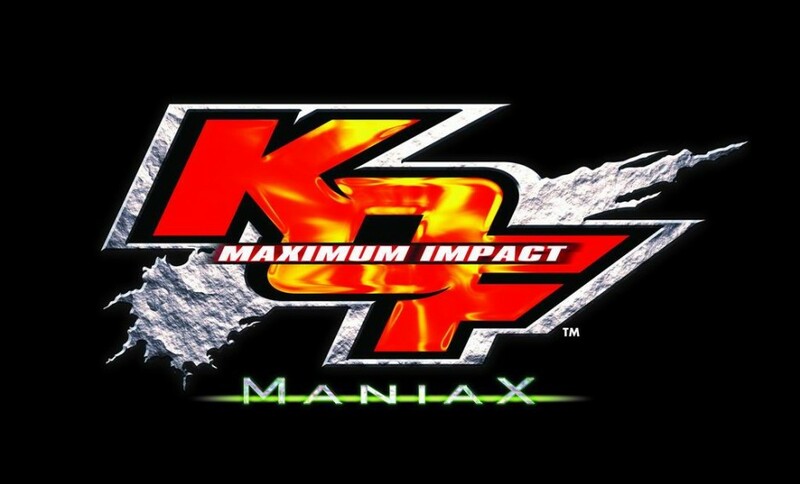 Thus, the Xbox version of Maximum Impact fixed the terrible English voices that cursed the PS2 version, and put them back the way they should be... Japanese. Thankfully, the characters sound like themselves again. 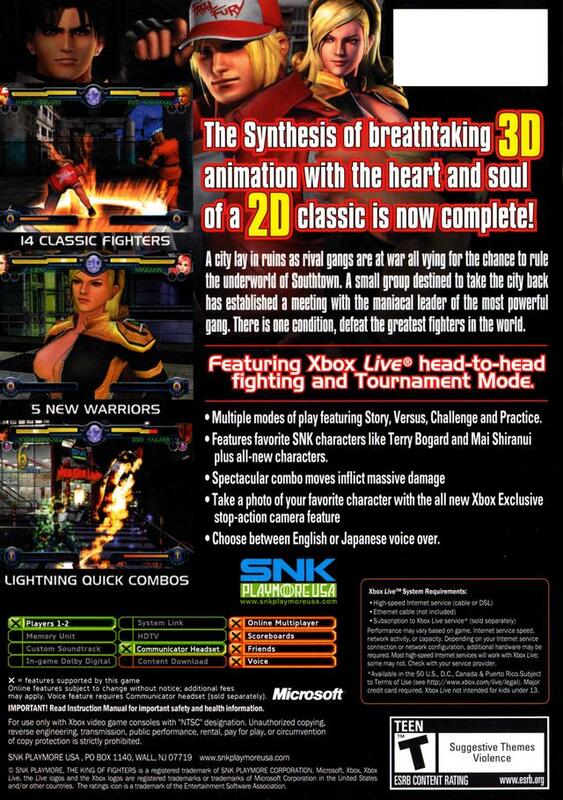 Now, Maximum Impact at least seems like it's a "3D KOF game," instead of something from the twilight zone. 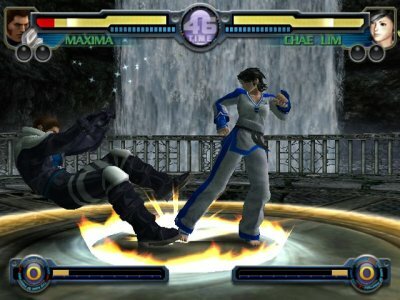 Lien's about to do a nasty wall combo. 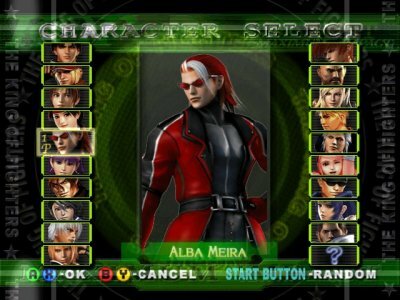 The Xbox version has slightly better graphics than the PS2 original, and also supports online play (for the 5 people in the world who actually want to play this game online). 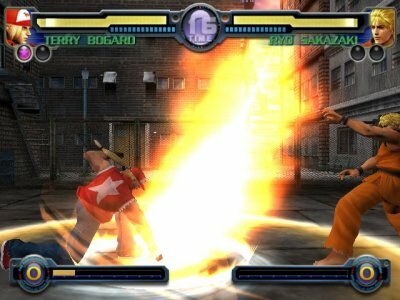 It might be entertaining to try out your favorite KOF characters in 3D for a little while, but the gameplay of Maximum Impact seems to be lost somewhere "in-between" 2D and 3D. 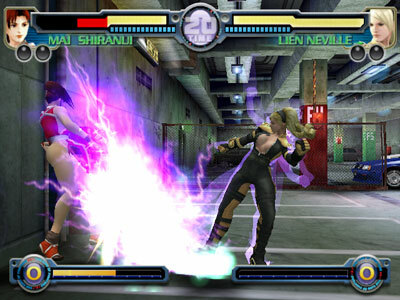 After playing this, it kind of made me want to play either a traditional 2D fighting game or a (real) 3D fighting game. The core gameplay is all about combos and juggles, and maybe some projectile wars for fun... but that's about it. You can also sidestep, though it's not very useful. MANIAX also has an exclusive mode that lets you pause the game and rotate the camera around the action. You can even snap a picture of the action, and the in-game effects actually look relatively cool when paused. It's possibly the most fun part about the entire damn game, and that's pretty sad.